It's been a rough week for student run band programs on the west coast. Only a few days after Stanford decided to suspend their band, Humboldt State University officials announced that they have found “inappropriate printed materials and photographs, graffiti, open containers of alcohol, and numerous safety and building code violations” at the Marching Lumberjack's on-campus space. The university has put the band under investigation and is suspended until further notice. The band has been locked out of it's on-campus location and personal belongings have begun to be returned to students as the university sorts through what they found. The band will be barred from all activities representing the university and will not have access to any campus services that are availabel to recognized student organizations. 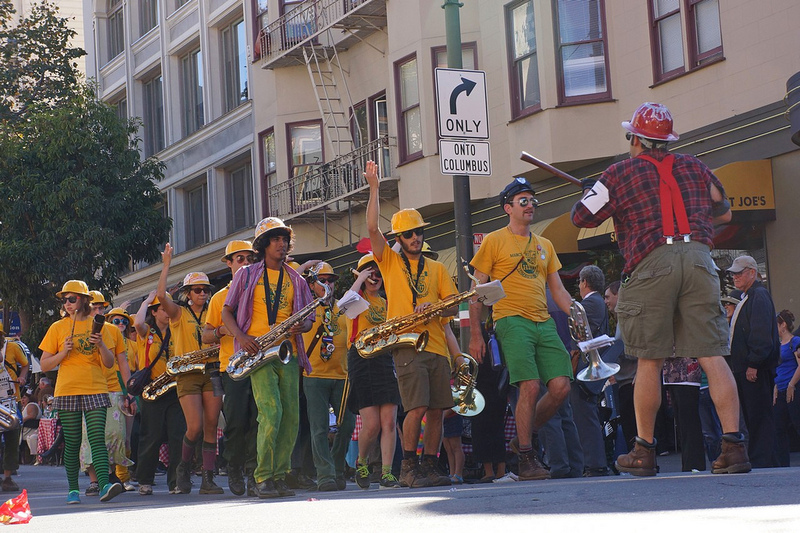 The Marching Lumberjacks, like Stanford, are a student run band program and this may push the university to hire staff to oversee the program. “We may not be the most politically correct band you’ll ever see, but we love to put on a show and guarantee to make you smile,” a message on the band’s website reads. The students could face expulsion if the investigation finds that members violated university policy.